In this painting, Sahi depicts a mournful funerary scene. 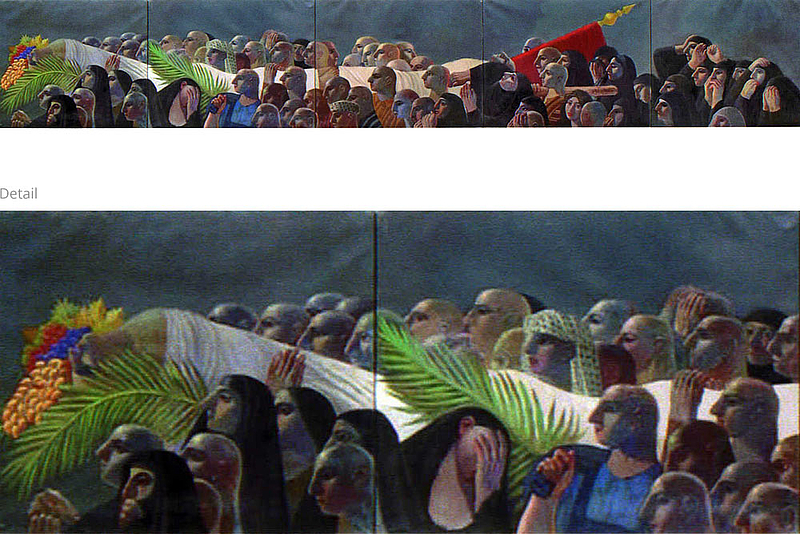 The monumental work conveys the linear spatial configuration of a funeral procession whereas the repetition of the figures suggests the importance of community in the bereavement of a martyrs’ life. The composition is permeated with a sense of melancholy—most evident in the saddened eyes of all the figures and the grief stricken gestures of the women, representing generations of mothers who lost their sons and daughters to a succession of brutal regimes and to a series of wars.